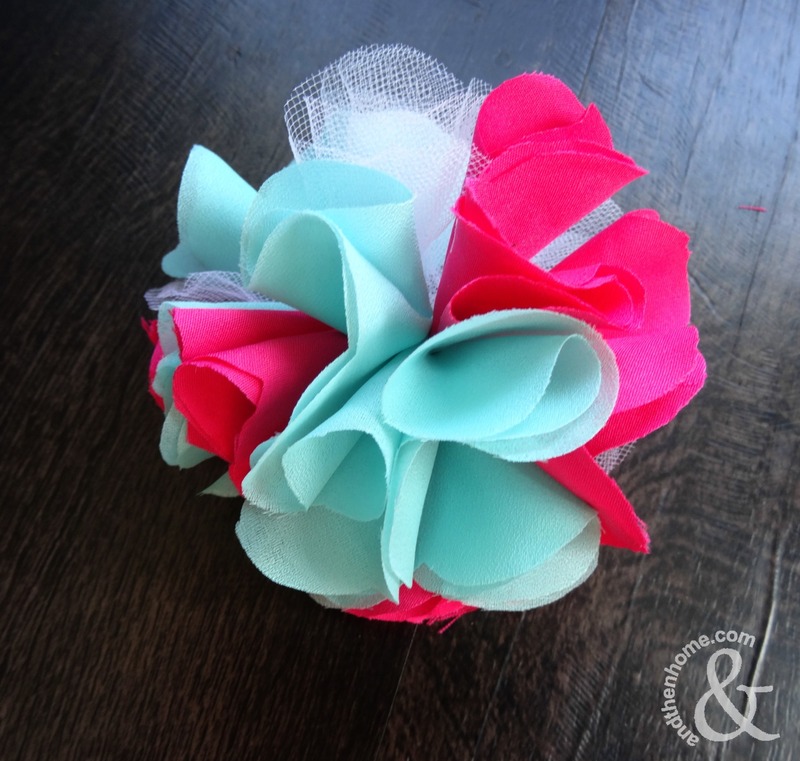 You’ve probably seen these flowers before and here’s a quick fabric flower tutorial on how to make them. 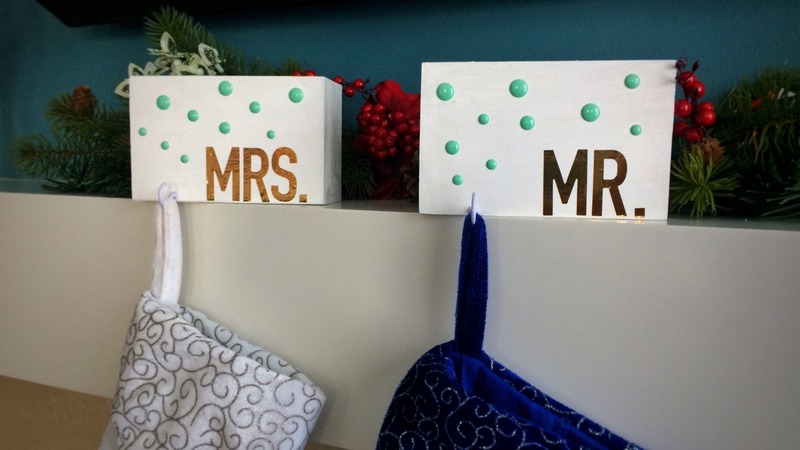 They make perfect decorations for weddings, bridal showers, hairbands and more. 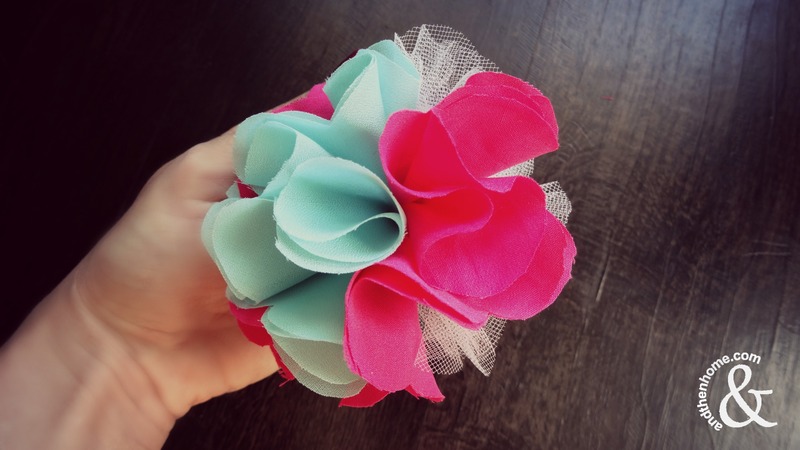 The best part is all you need is some scraps of fabric and a needle and thread. Be sure to stick to thin fabrics; thick fabrics like felt or denim wont work very well. 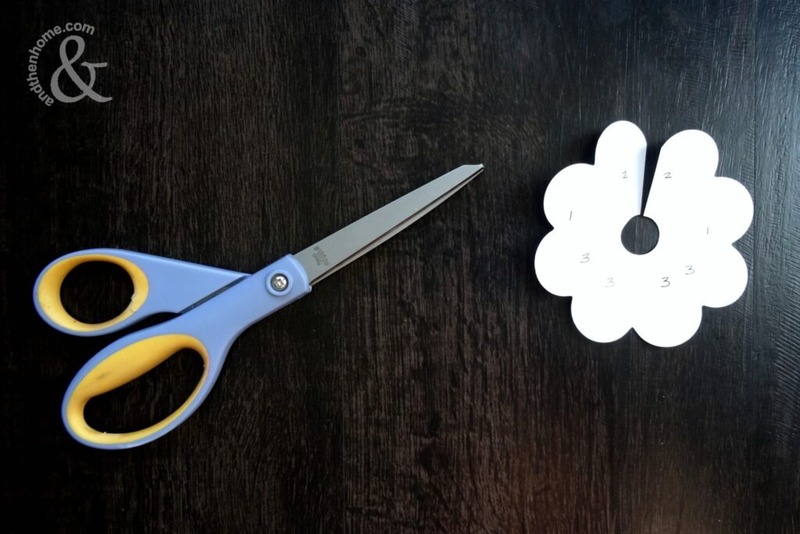 Each flower is easy to make but does require a lot of folding and cutting so if you’re planning to make a lot of them throwing a flower making party would be a great way to bring all your friends and family together for some pre-event bonding! Trace the template onto card stock and cut it out. 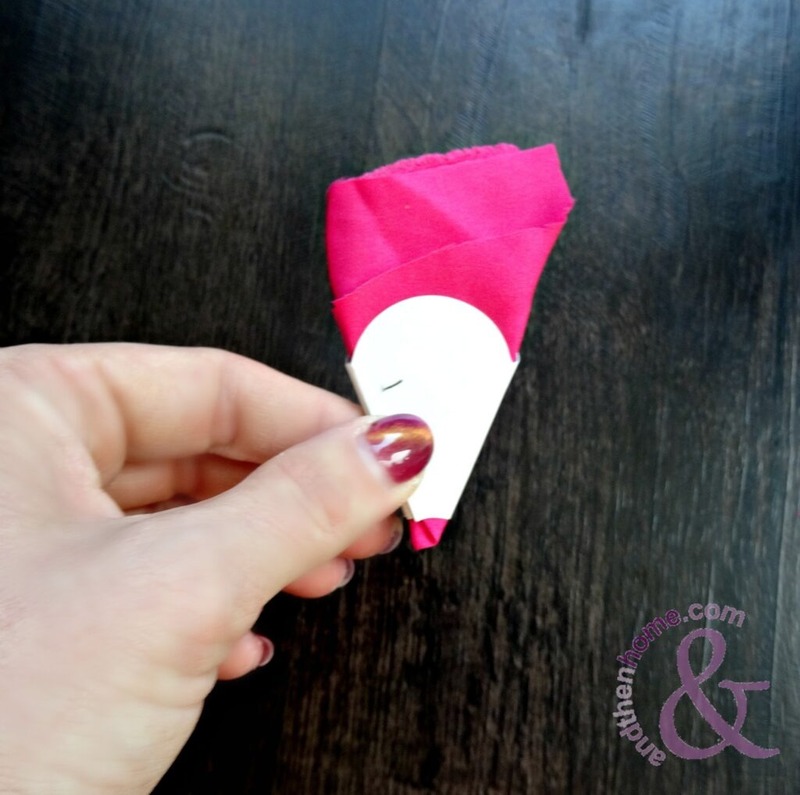 Place the template onto a fabric square and fold both the fabric and the template in half. 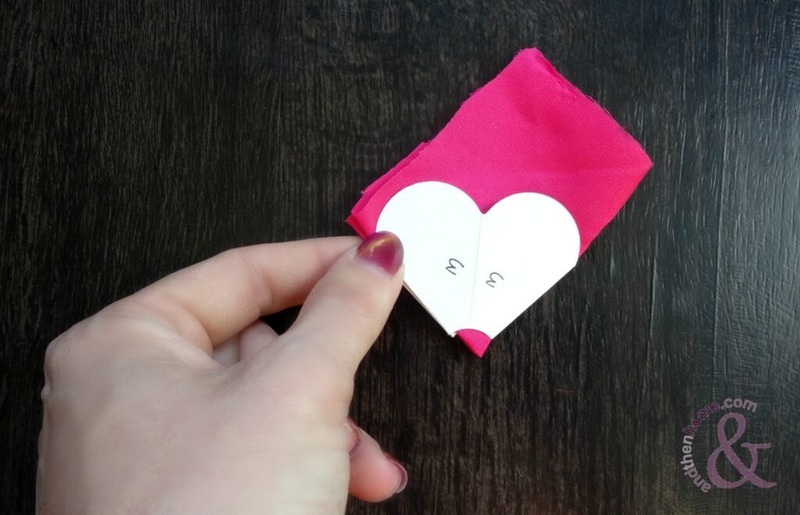 Fold the fabric and template in half again so you are folding the number 2 sides against each other. 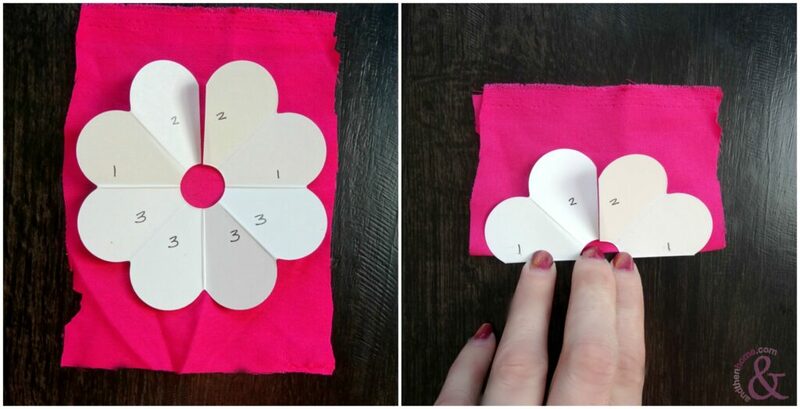 Fold the fabric and template one more time so that the number 1 sides are facing out. 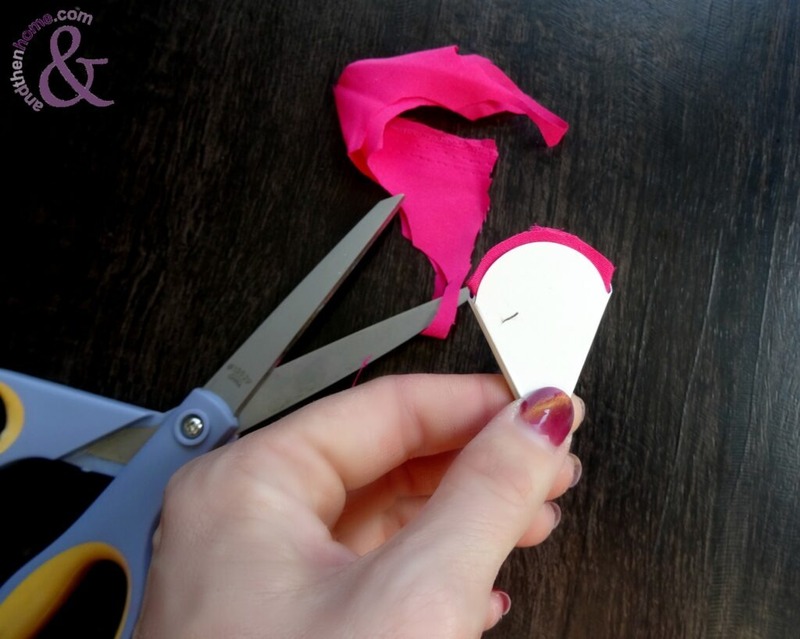 Cut the excess fabric off the top of the petal, following the template curve. Only cut the top of the petal, don’t cut the fold end off. Pull the needle and thread through the folds at the bottom of the petal. Cut at least 15 more flower petals (you can go up to 25) and thread the all the petals onto the thread. 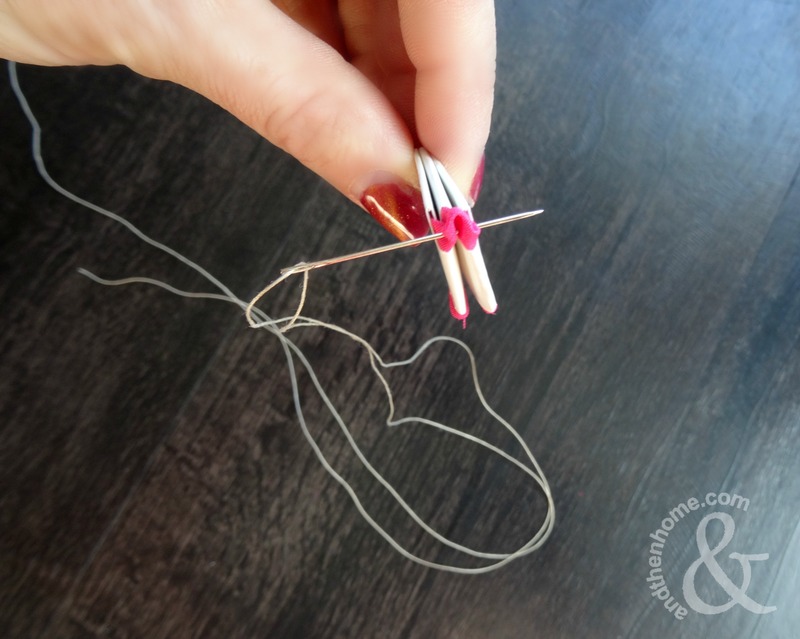 When you have all your petals threaded, push them together and tie the two ends of the thread together to complete your flower.